What is exciting is that medical is only one vertical and that machine learning as exemplified by Watson (and I am sure there are competitive products and in a few years Watson will be as dated as a Cray Supercomputer from 1995) can change virtually any industry, including social games. Wouldn’t it be great if we could ask our computer why retention has dropped or which user acquisition channel will have the strongest ROI (try asking Siri that)? What if your game could not only identify players (or more importantly the 0.5 percent driving revenue) likely to churn but also seamlessly reach out to them and take action that keeps them active. What if it could tailor your messaging so that players are more likely to talk to other people about the game and increasing viral marketing. 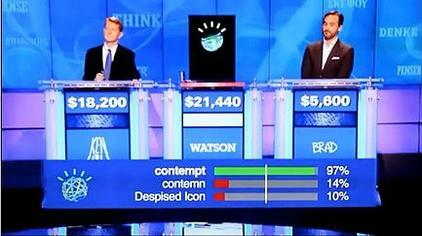 Most importantly, what if you could use Watson to beat your boss in QuizUp :-)? Watson, and machine learning in general, is going to change the way companies operate. It will help us take all of the data and research being generated and funnel it to improving our products and businesses.